Whilst Michelle enjoys her long term role working at her local hospital, she was looking to add something new to her portfolio. 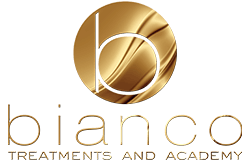 As our courses are bespoke and offered on a 1 – 1 basis, we created a course specifically for Michelle to cover Semi-Permanent Make-Up for eyebrows. Michelle’s three-day course kicked off with her A & P training with Bartek, getting to grips with the basics of Anatomy and Physiology and providing a foundation for the next steps of her training. 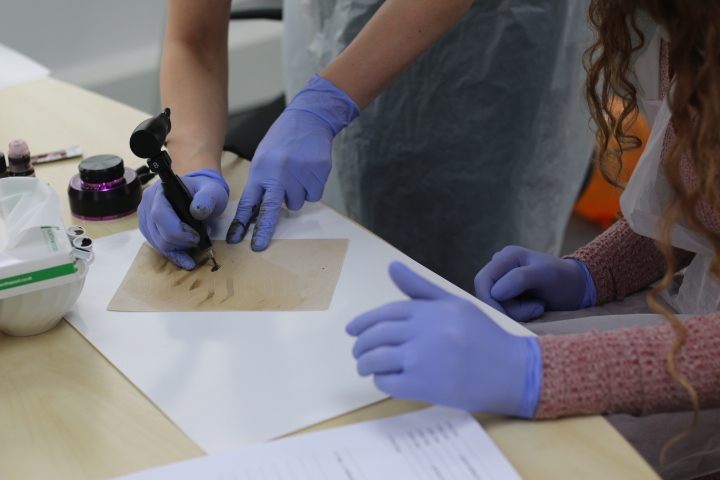 Day one also included all of the theoretical aspects which Michelle would need to draw on during the rest of the training and for her new career. Michelle was able to use her new Semi-Permanent Makeup machine to create eyebrows on the practice pads before gaining confidence in her technique and progressing to working on her live models. 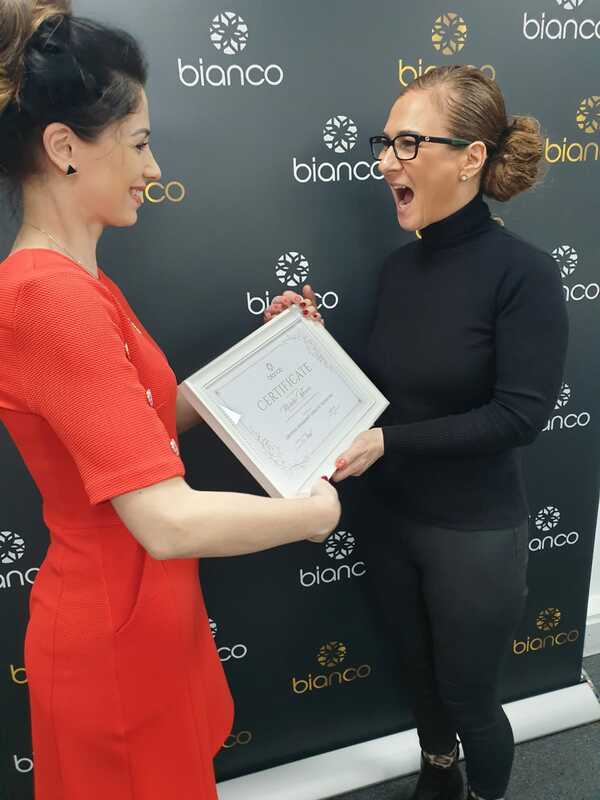 The first day ended with Michelle shadowing Ewelina, our trainer and award-winning Semi-Permanent Make-Up artist, whilst Ewelina created eyebrows on the first of the course’s models, explaining every step and referring back to the theory and practise that had been carried out earlier in the day. 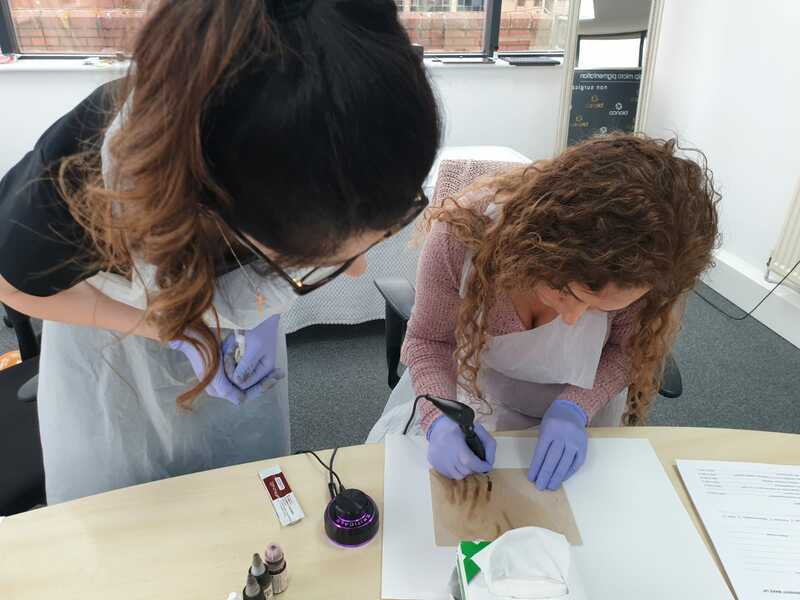 Over the remaining two days, Michelle moved on to creating eyebrows on her own models, whilst being closely supervised and guided by Ewelina. Ewelina was accompanied by Rachel who stepped in to cover some of the theory aspects. Working so closely with the team gave Michelle the opportunity to work at her own pace and feel happy and relaxed to ask questions comfortably. Michelle’s warm personality and desire to understand and learn the subject made her an ideal student. Whilst there was a lot to cover during the course, we still had time for some lovely lunches, lots of laughs and some real bonding. We enjoyed a delicious lunch out on the final day where we were joined by the rest of the team. The course ended with Michelle’s presentation, where she was given her certificate of attendance, and we celebrated with a glass of fizz!! 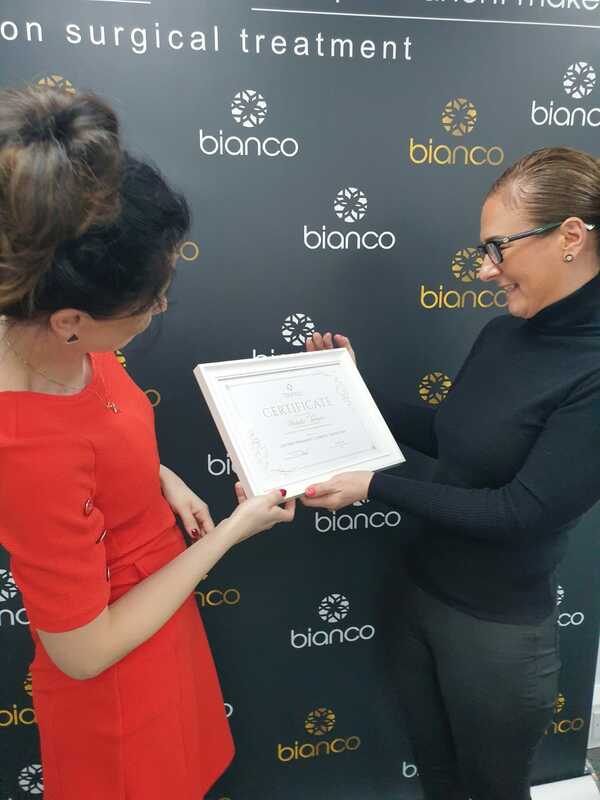 Over the coming weeks, we will still have the pleasure of working with Michelle as she completes her case studies at the clinic, under Ewelina’s supervision. 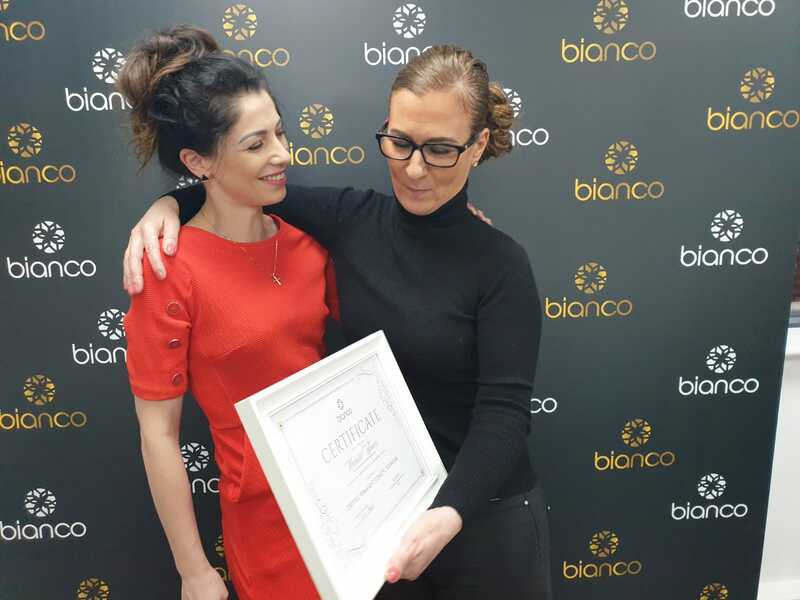 On successful completion, we are looking forward to presenting Michelle with her certificate of qualification so she can progress to creating beautiful eyebrows for her own clients. 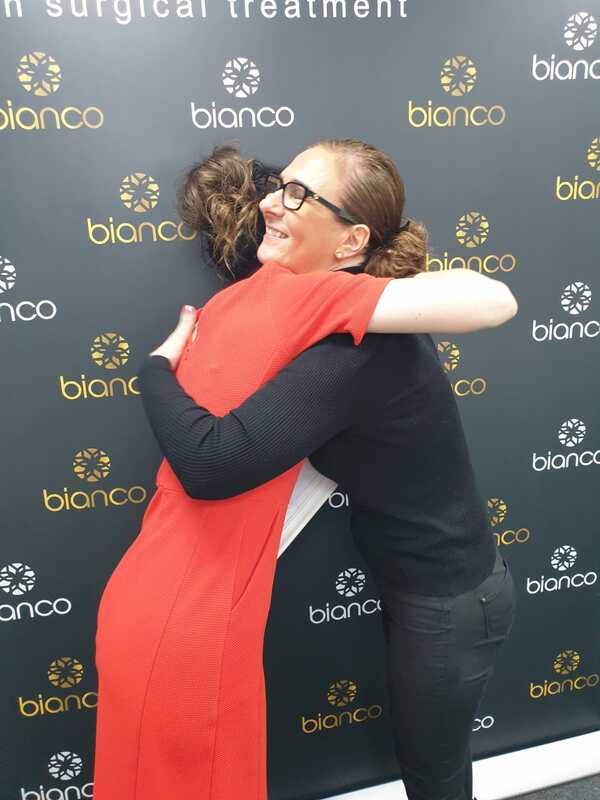 It’s been an absolute pleasure working so closely with Michelle and we wish her all the very best as she embarks on her new career, where we will continue to support her if she needs. "Fantastic training! Made to feel relaxed by all staff. I have been given 5-star treatment. "